MARY KENNEDY: As a psychologist, I spend much of my time listening to my clients talk about their dreams. I always find this part of the session the most fascinating. Sometimes (well, many times!) my clients surprise me. 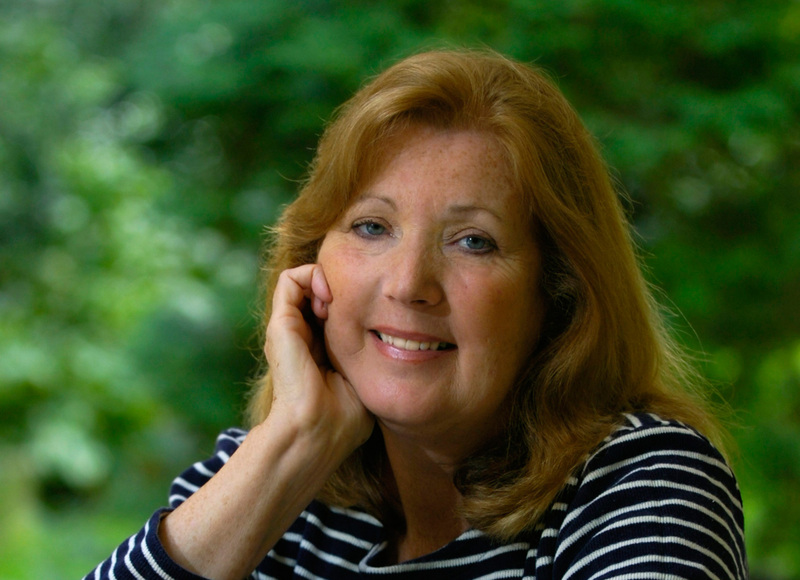 Mary Kennedy is the author of over forty novels and has made the BookScan, Barnes and Noble and Publisher’s Weekly best-seller list. She is a psychologist in private practice on the East Coast and lives with her husband and eight neurotic cats. Both husband and cats have resisted all her attempts to psychoanalyze them, but she remains optimistic. You can visit her at www.marykennedynet or the Cozy Chicks where she blogs every Saturday. And leave a comment and your email to be entered in a drawing for either Nightmares Can Be Murder or a honeysuckle candle. Dream a Little Scream will be out on August 4. Nightmares Can Be Murder, the first in The Dream Club Mysteries, can be found here. Eight cats? Life must be very interesting around your house! Whenever people talk about their dreams, I have to admit that I almost never remember what I dream. Perhaps that’s why your Dream Club book sounds so intriguing, what with the characters getting together and discussing their dreams . . . . I was just going to say virtually word for word what Joan did. I rarely remember my dreams and have always been a bit envious of those who do. I remember about half of my dreams, some stay with me for hours, but most are slightly vague. 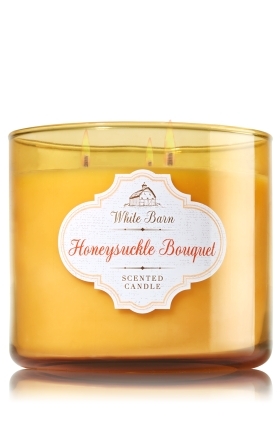 What a great cozy idea! I think I'm going to love your books, Mary. When I was a psychology student in college a few of my fellow psych concentrators and I designed a course on dreams, we made up our own assignments and taught ourselves and of course ate chips and drank a lot of wine from a box. We had a great time. We did it as a respite from other courses because our other courses were so deadly boring. Some of us became researchers by mistake because we chose our school for its "acclaimed" behavioral psych program. We thought it was about people. Silly us. Then UCLA, and Berkeley, and San Diego, and especially Santa Cruz didn't want us, because we'd just spent four years studying insects, baby chicks, rats, cats, and rhesus macaques. Eventually some of us discovered other options going around the long way to becoming counselors, practical theologians, and eventually psychotherapists. Now we read mystery novels. I hope I win yours. I'm going to buy all of them even if I don't win, but I still hope I win! Reine you never cease to amaze with your stories! You and your friends were so smart to design your own class, but what a shame to take such an interesting subject and make it dull! I am so putting these books on my TBR list. My favorite part of sleeping is dreaming. I usually remember them right as I wake up, but lose most of the substance before my feet hit the floor. Sometimes one will linger, but not often. A college professor used to encourage us to keep a pad and pen near our beds and write down our dreams immediately after having them. Seems you can train yourself to come to a nearly conscious state to do this. I was a poor subject, my notes in the dark usually looked like scribble, and when it could make out a word, it was usually something deep, like 'boy' or 'house.' Some kids had great success though. Waving at Mary! So fun to see you here in the Jungle. I'm in the never-remember dreams camp, too, unless it's a rare occasion. However, there have been some spectacular exceptions. Once I kept dreaming, night after night, about a horrifying sequence I'd seen with the kids at an Omnimax movie (which means it felt as though we were right there, right?). This particular scene was of a rock climber, hundreds of feet up in the air (I'm very height phobic), whose pitons pop out, one by one, leaving the guy dangling by a rope over a yawning chasm. At the time I had a walking partner who was studying dreams as part of her Masters in Psychology, and she asked if I would consent to a session to explore it. I guess it amounted to hypnosis, although I remembered everything said/done. Turned out I was feeling completely out of control in my life at the time. Just having an answer to why was enough to stop what was essentially a recurring nightmare. Thank goodness. And it helped me figure out some ways to take better control of what was going on at the time, so having the session was invaluable for me, in the long run. I rescued a very pregnant female cat (I thought she just had a pot belly) and she gave birth to 5 kittens on my glassed-in porch 24 hours later. (As they say, "no good deed goes unpunished.). Just kidding, wouldn't trade her for the world. We kept two of the kittens, found wonderful homes for the rest. Eliza (the momma cat) is semi-feral and bonded with me, but no one else, so I had to adopt her. And of course I adopted her "baby Daddy," a large tom cat. And that my friends, is how I ended up with 8 indoor cats. It's fun, it's chaotic, but a bit overwhelming. So happy to be here, surrounded by friends who love books and cats. For everyone who doesn't remember dreams, try keeping a pen and paper on your bedside table. You might remember fragments of dreams in the middle of the night and if you take a moment and write down a few words, sometimes that jogs your memory the next day. Do you ever have the experience of suddenly "remembering" snippets from dreams the next day? Sometimes a sight or sound, or a certain smell (like the smell of freshly cut grass) brings the dream back to you. It's interesting, because it shows that the dream really "was" there the whole time...you just needed a little memory to bring it all back. Yes to what Karen said! Dreams can help us get control of our lives, or at least alert us to thing that are going wrong. If you have repeated anxiety dreams, for example (being stranded in a city alone at night, with no money, no ID, etc or driving over a bridge that suddenly ends,) there might be something in your everyday life that is problematic. A very common anxiety dream is riding (or driving) a car that is out of control One of my clients had a recurring dream of sitting in the back seat (talk about a metaphor!) and trying to control a car that was spinning off the edge of a cliff. Things eventually settled down in her life and she never had that awful nightmare again. Oh Karen, that's a nightmare all right. Every once in a while, when things are piling up too fast, I dream that I'm riding backwards, downhill in a car with no brakes. Don't need a PhD to figure that one out! OMG, driving over a bridge that suddenly ends is about the only dream I ever remember! It goes back to childhood and to this day I'm afraid to travel across bridges. I don't have the dream anymore but the phobia is still there. I used to commute over the Cape Cod Canal bridges daily (twice a day) and that helped me accept being able to DRIVE across a bridge. I'm still not good as a passenger. I dream in reverse... In my comfort dreams, I'm a spy or detective being chased by zombies and bad guys. And I'm highly predictive in my reversal. A month or so ago, I woke up in a dead panic because I dreamed I was sitting out on a patio with a bunch of agents and they were all being really mean to me. That afternoon I got my first request for a full ms in my query process. What's more, last weekend I sat out on the pool deck and chatted with a bunch of agents, just like in my dream only they were very nice and never once asked me to leave. I can also control my dreams, stop things from happening and change the outcome or keep the dream going because I like my spy dreams or I need to find out who the killer is. Hi Mary! So great to see you! Yeah, I love dreams. I have them, so vividly! And sometimes, may I confess, I can't remember, the next day, whether what I'm remembering was a dream or whether it really happened. Can you..explain that? As for your Broadway client--I used to dream all the time, that I was in a play, an freaking out because I didn't know the words or the steps. Then one night, I had the same dream--it was always exactly the same--and I said to myself in the dream--oh,come on, you do too know the steps! And if you don;t, you'll still be fine. Hi Hank, good to see you! I find that creative people tend to have very detailed, vibrant dreams--the line between dreams and reality seems to get blurred as they move through the dream. The next day, they may see a person who appeared in the dream the previous evening, and just for a moment, they can't recall whether the "dream" conversation was real or imagined. It's a very interesting phenomenon. Being thrust onstage an not knowing the lines is quite common--and terrifying--in the world of dreams. Another common theme is sitting in a classroom as the instructor passes out test papers, and the dreamer suddenly realizes it's the final exam, and she has not gone to a single class. Panic sets in! Sheer terror. It sounds like both you and Kate can sometimes control the content of your dream, which is quite a talent. Very few of my clients have that ability and they all wish they had. Thanks so much for stopping by. And congrats on TRUTH BE TOLD--love the Jane Ryland series. It's a winner! Kate, I think your spy dreams would make great material for a novel! I have three cats and some times it seems like eight. Your book sounds wonderful I'm adding it to my list. I'd love to win your book! Sometimes I remember who was in my dream - not the dream - and am amazed! Dreams are sometimes disturbing, wake me and then I am sad. Lately, the dreams I can remember are puzzling and give me much to think about, but they aren't frightening. They're still fascinating, though. I'm always interested in reading about other people's dreams,too. I am thoroughly enjoying the Dream Club mysteries. Nightmares Can Be Murder was such a good story! I have an ARC of Dream A Little Scream that is enveloping me in the beauty & mystery that is Savannah. I have decided by recurring dream of agonizing over curtains while walking through a huge house with windows of different sizes is caused by the anxiety I felt each time we moved into a house (we've moved 26 times in our 49 years of marriage). Curtains were expensive & somehow the house we moved to never had windows the same size as the house we left! We've been in our current home since 2000 & never once have I changed the curtains! Traveler, I know what you mean. Dreams seem to evoke such strong feelings and those feelings can stay with us for hours after we awake. Sometimes my clients report that when they are angry with a loved one in a dream, those angry feelings stay with them the next day--even when they know it's not rational, they find it hard themselves irritated with that person. Hi Linda, your "house with the curtains" dream is really interesting. A lot has been written about the "House Dream"--it's a classic. The windows of different sizes and the curtains is fascinating...you've moved 26 times?? Linda, I am impressed. That would have drive me beyond the bend!! You must be very organized...thanks for stopping by. Linda, the curtain dream! Is so perfectly evocative and ..oh. Fascinating. And yes, traveler, how the emotions stay with you. You must be a lovely person! I like your take on the Broadway dream. It (the dream and the view of it) sounds like this was just what she needed. I love dreams. I consider them my in flight movies. I have three cats. That is a nice number. Eight? Not so sure. Libby, eight is too many, trust me!! For years we only had between 2-4 cats and life was easier. Eight indoor cats is a LOT of work. But then these fur babies came along and I adopted them. New meaning to the term: "Crazy Cat Lady." When people come to my house for the first time, they ask me if I'm running a cat sanctuary. Come to think of it, maybe I am! Thanks for stopping by. Fascinating territory! I'll look for your books! I've had some "lesson" dreams in the past. Once I rescinded an offer to lease an apartment when I dreamed I was in it and someone was trying to break in. Friends in the building told me there was a burglary a few weeks after I would have moved there. I had a repeating dream of careening down a steep, icy road, always waking up before getting to the bottom. During a harrowing drive home from the Rep in a snow storm, detoured from the only route I knew, the GPS took us to the top of a dark, steep hill, from which I backed away (other drivers were very courteous about my decision). I found another way home, and never had that dream again. Another that repeated was searching for my classroom but ending up in downtown Minneapolis and then in Como Park in St. Paul. When I was about to retire, my dream self said, "The students will be fine," and stayed in the park. Lately I've been dreaming of babies . . . quite odd. Lucky me! I've read Nightmares Can Be Murder, and it was so interesting and such a great story. The Savannah setting is wonderful, a city so full of the past and spiritual phenomenon. And, of course, dreams have always fascinated me, and I dream a lot and remember a lot of them. The recurring dreams are especially intriguing and revealing. So, Mary, you have hooked me with the Dream Club, and I'm looking forward to Dream a Little Scream (love these titles). Count me out on the copy of Nightmares Can Be Murder, since I already have a copy, but I'd love to be considered for the candle or ARC of Dream a Little Scream. Exploring dreams is fascinating. I never seem to remember much about my dreams. Not sure what that means. I'm sure your dreams are interesting Grandma Cootie and that you have some wonderful stories to tell! I wish you could remember them. Thanks for stopping by, hope you are having a great summer. Hi Kathy, so glad you enjoyed Nightmares Can Be Murder! 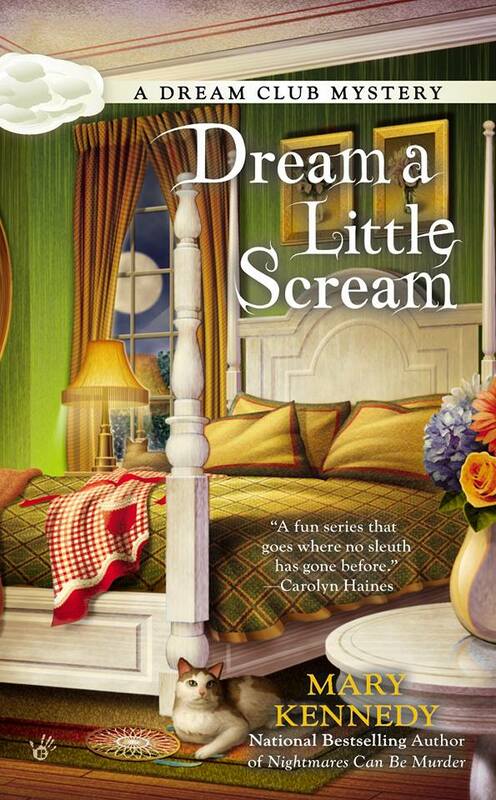 The Dream Club is up to their usual antics in Dream a Little Scream and a celeb chef gets her just desserts! Hi Storytellermary, a lot of people believe in "premonition" dreams--the dreams serves to warn the dreamer about an upcoming event and offer some protection. Some Native American tribes believe that dreams are sent by the Spirit and can foretell the future. Thanks so much for stopping by. A friend and I wrote a play together and at least half of my half came from my dreams. I used to have dreams that took up where they left off the night before...like a soap opera. :D Haven't done that in ages. Ann, that is fascinating that your play was based on dream material. I have clients who would love to "continue" their dreams the next night, but so far, no one has been able to do so. It would be a great talent to have. Thanks for stopping by. I dreamed about my dear dad again last night. It has been a while. It was good to see him again. Elaine, it's always reassuring and comforting to dream about loved ones who have passed. I'm happy you had that dream. Thank you for stopping by. Thank you so much, everyone, for letting me spend the day with you!! I've enjoyed every minute of it and wish you all happy reading and sweet dreams. What an interesting subject. I will put this on my tbr list. I love the cover art, too. This looks to be an exciting new series. I haven't gotten to it yet, but I bought the first in this series for my kindle. I'd love to have this second. Reine, I'm just catching up on yesterday's blogs and I loved hearing about the course that you and your friend designed. Very clever and creative! Thanks for stopping by. Hi Robert, thank you for the kind words. It sounds like a wonderful opportunity, but I'm writing three series at once--(The Dream Club Mysteries, the Talk Radio Mysteries and the Hollywood Nights series) and it keeps me insanely busy. Plus the psych practice and the eight crazy cats. Wishing you continued success with your projects and thank you for stopping by.